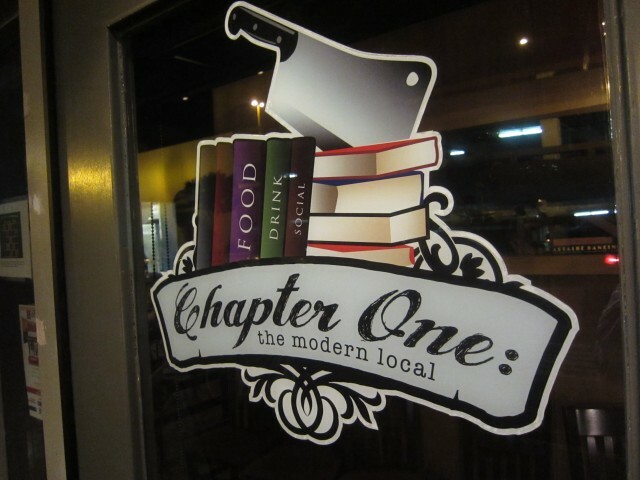 I went to Chapter One: Modern Local late one night. It was a random night where I wanted something good to eat, but not a full blown meal. I didn’t exactly want snack items you would find at a gastropub, and I didn’t want just a Double Double down the street. I guess I was bored and I wanted to try something new — I guess it was the food blogger in me that wanted to venture out and wanted to get excited by food. 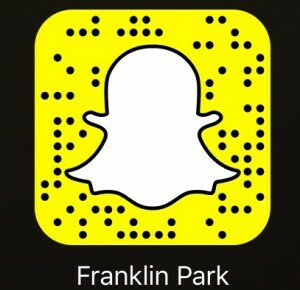 Looking at the exciting “world” that the Santa Ana Art District has, that was a nice place to start. Chapter One: Modern Local was my destination. Upon ordering the potato pear, I really didn’t know what to expect. The pear shaped riced potato was stuffed with duxelles. Duxelles is a mixture of chopped mushrooms, onions, and herbs. The panko crusted exterior was crispy without being greasy. 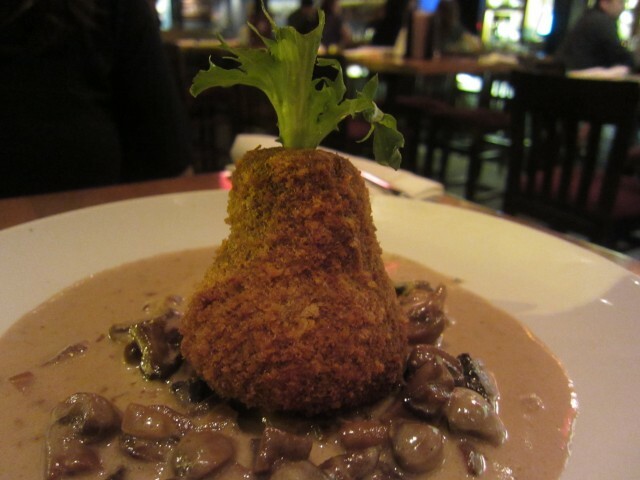 The best part was this wild mushroom, marsala cream sauce that it sat on top of. The complexity and rich mushroom flavor really made this dish stand out. It was rich and creamy and went so perfectly with the riced potatoes. This was basically a very complex and very elaborate mashed potatoes and gravy. Though definitely not an item to return for, it was a good experience. The beef culotte was a dish less remembered. Though wrapped in bacon, it wasn’t too overpowering — the beef stood out. What was actually overpowering was the coffee and chocolate dry rub. It gave it a nice dry roasted taste and accented the beef quite nicely though. 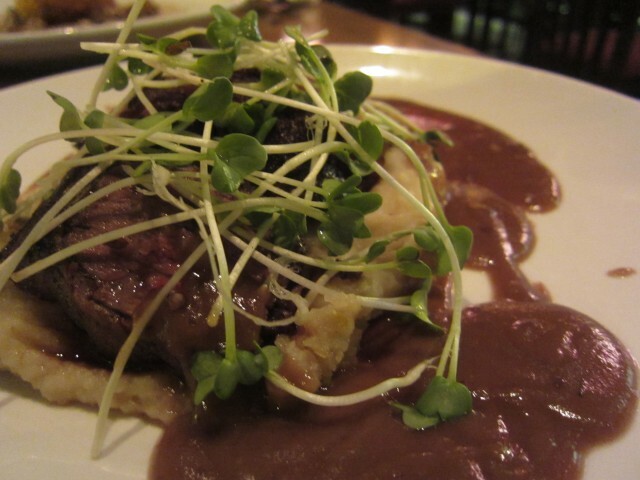 The red wine demi-glace was a nice touch, but the best part of the dish was the dijon smashed potatoes. They were seasoned perfectly and the dijon flavor really popped. Again, as the potato pear was a take on potatoes and gravy, this dish was a take on Shepherds pie. Though the ingredients are totally different, the taste and consistency of the dish really reminded me of Sheppards pie. Why the double potato and double rural dishes? I don’t know. It was interesting that we ordered such old-school dishes at a place called Modern Local. Maybe their forte is to take rural dishes and make them “modern”. If so, they pretty much hit the mark. Chapter One Modern Local truly fits into the Santa Ana Arts District. As the name insists, the interior is full of books and almost looks like a rich man’s personal library. The food however, represents modern takes on classic cuisine. 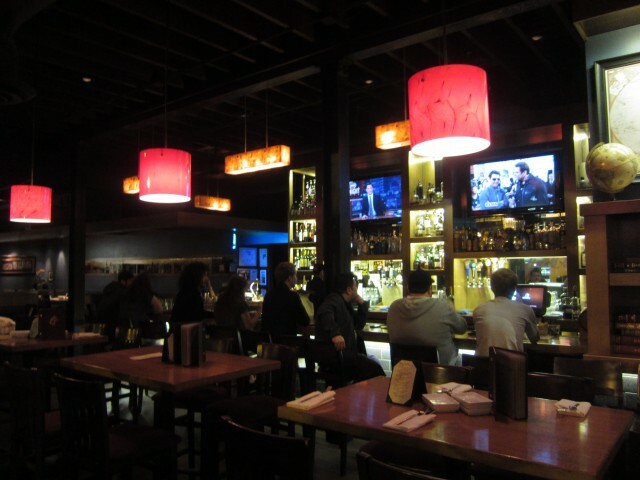 It is a nice spot for late night eats and drinks — I guess this adventure seeking food blogger got what it asked for.